Yum and yum! Who doesn’t love Kielbasa Bites? They are, after all, the tradition for many potlucks.. and if you are asked to bring something to pass to church or a random event, they are usually fairly popular with everyone. Instant Pot Barbecue Kielbasa Bites, click here to repin for later. They can be eaten with a fork, or a toothpick.. and everyone from kids to adults will feast on them and in many cases lick that plate clean. Thankfully they are super easy to make in the crock pot but even easier to make in the Instant Pot. You can make it even easier by purchasing your own barbecue sauce – but we prefer to make our own (simply because we love being able to pronounce the ingredients that go into it). Since our Arizona summers can get rather hot (115-120 degrees), taking 5 kids out to the store is relatively challenging – thankfully good barbecue sauce can come from a few ingredients whipped together in your kitchen in a fraction of the time. That’s when you know you did something right! Ready to put this dish together? Lets do it! Kielbasa bites smothered in homemade sweet and tangy barbecue sauce - perfect for your next get together! On a cutting board, slice the sausages into rounds, about 1/2 inch - 3/4 inch thick. Place them in a bowl and set aside. 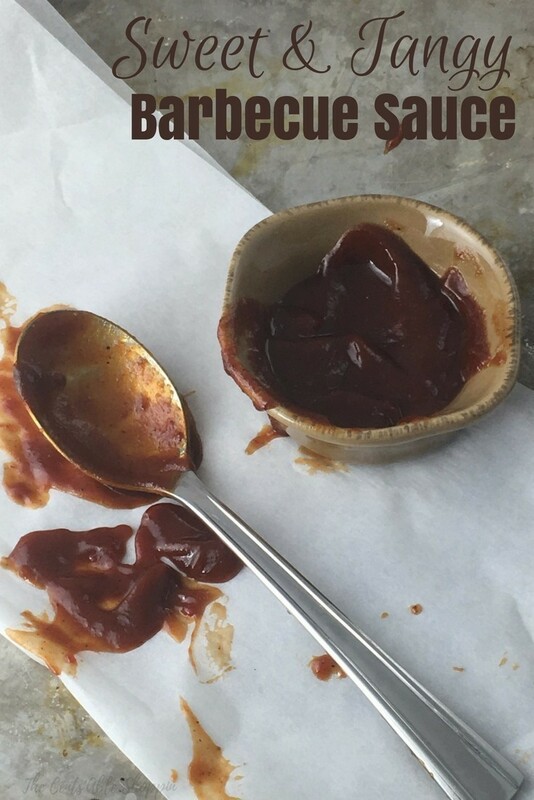 Pour your homemade sweet and tangy barbecue sauce into the Instant Pot and add 1/2 C. water. Place the reserved kielbasa in the Instant Pot, and give everything a quick stir. Lock the lid and close the valve (seal). Push manual, and set the timer on the Instant Pot to high for 5 minutes. Once finished, release the pressure manually and serve. If you are taking to a pot luck, feel free to keep the lid on until you are at your destination, then plug in and keep the pot on warm until ready to serve. The sauce will thicken as the sausages cool. Can you use smoked turkey sausage (same packaging as the kielbasa) in place of the regular kielbasa? Looking forward to making this. I just finished making your bbq sauce. I used Smoked pork sauage links, of mustard bbc, water, big squirt mustard and a lil bit of white. vinegar, it came out perfect in this recipe! Your ingredients say 1/2 cup water but in the instructions it’s says 1/4cop water. Which do I use. It is a half cup. I fixed it in the link too. Thanks for the heads up. Yes, you will cook for 4-6 hours on low. hello wondering do you need to remove the skin from the keibassa? I don’t ever remove the skin. How much barbecue sauce do you use with the 1/2 cup water?